Recently Ulf sent me a link to an article about a photographer who had lived in Chattanooga early in her career. It was a great article...a great photographer and her name was familiar to me but I didn't know why. Then I remembered - a friend of mine has a beauty salon and hanging there were some fascinating black and white photographs taken of her father, Jim Collins, when he was younger. He is a very talented sculptor in Chattanooga. 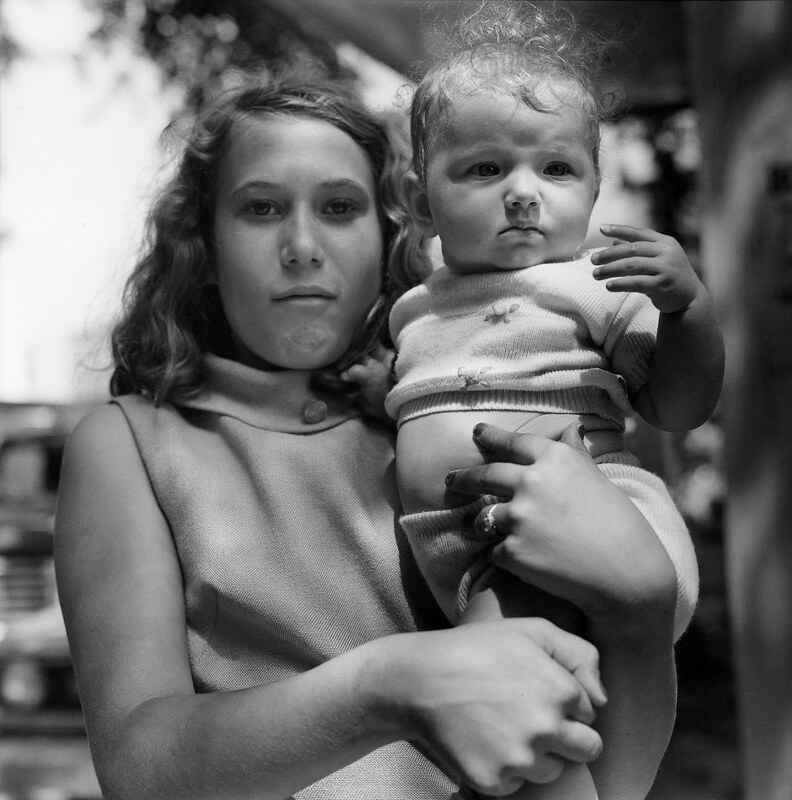 Rhonda Prince: Well, first of all, because I live in Chattanooga I would like to know about the time you lived here and how it influenced your photography. Rosalind Solomon: I had opportunities in Chattanooga that might have eluded me elsewhere. Most notably, I photographed at Erlanger Hospital with permission from the administration. The only constraint was that I had to ask for each person's consent and obtain signed releases. My friends allowed me to photograph them and I was fascinated with the culture of surrounding rural areas. So living in Chattanooga, actually fed my work. Rhonda Prince:Why did you decide to become a photographer? 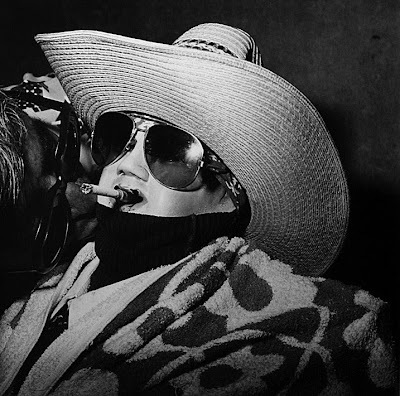 Rosalind Solomon: Photography gave me the means to express myself. My perception and feelings lead me.The camera is my tool. 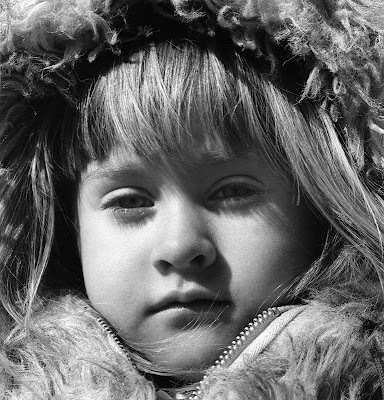 I was 38 years old when I began to use a camera and I loved taking pictures. At first I didn't have a clue as to where it might take me. It was years before I began thinking of myself as an artist. After my first installation, Adios, and my Folkways albums, Corazon and Indian Love Rites, I wanted to do everything, but how could I? I had limited time and resources and felt I had to make a choice. My life as a photographer opens the world to me. I expand my knowledge and understanding wherever I work. Rhonda Prince: I’ve read that you first started taking pictures of battered dolls? Why did those attract you? How did you make the switch to people? 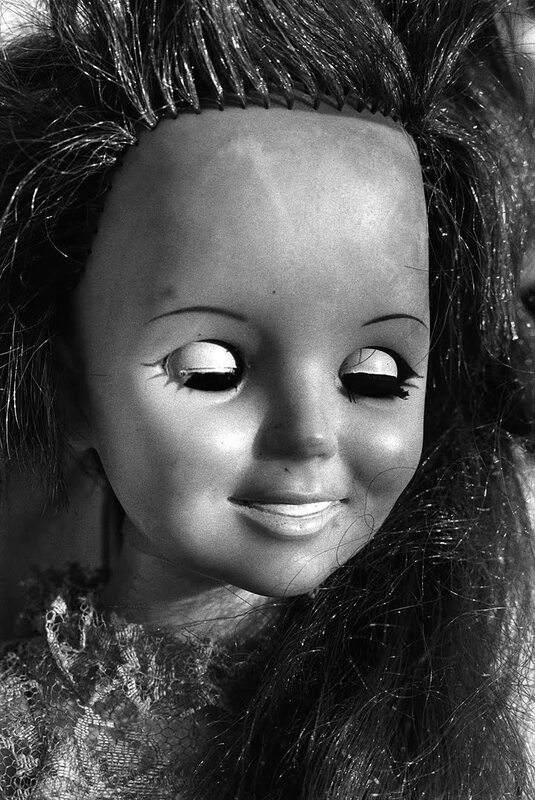 Rosalind Solomon: When I discovered First Mondays in Scottsboro, there were tables of old dolls thrown randomly on the tables. They were in varying degrees of deterioration and disarray. Glamor dolls were hung on the back of pick up trucks. The dolls gave me opportunity to develop techniques for photographing people. I learned to go very close to them. 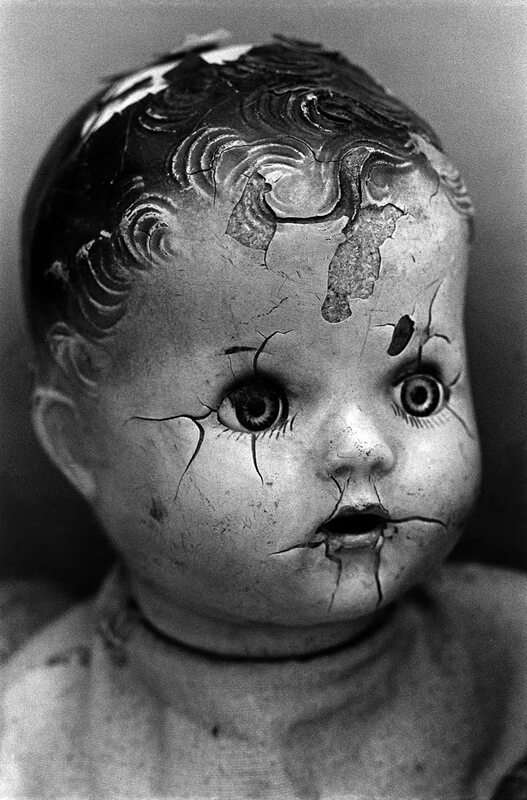 I related the crazed and broken dolls to interior emotions. The glamor dolls were the cosmetic versions of life. Rhonda Prince: Are there certain photographers who have influenced you? Did you have any mentors when you started? Rosalind Solomon: My mentors were Jim Collins, sculptor and Charles Counts, potter. By knowing them I came to understand something about the creative process. When I started I didn't know anything about photographers or photography. Photography was like poetry then. Basically, artists who took pictures could only hope for gratification through the process. I kept making photographs because I loved doing it. Later I was privileged to study in New York with the great teacher and photographer, Lisette Model. Rhonda Prince: What cameras do you use? How do you print your photographs? Do you ever use digital? Rosalind Solomon: I have a digital camera, but I don't use it. I use a Hasselblad. 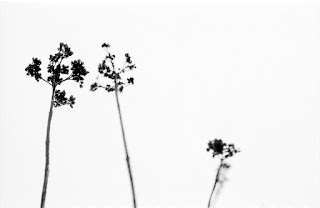 I print my photographs in my darkroom. I always work in black and white except in my short movies. Rhonda Prince: What project are you involved in now? Rosalind Solomon: I am germinating ideas. Shooting pictures is only part of my life as an artist. I need time to think and to read and to do whatever comes to mind. I try to see as many independent movies as I can. I go to museums, listen to contemporary music, read and attend theater and dance. Those are ongoing projects for nourishment and intellectual stimulation. This year I finished a short movie, A Woman I Once Knew. Though I did most of the shooting earlier, the editing took a long time. I worked with a gifted 22 year old editor, Robyn Braun. She had recently picked herself up and moved to New York from the mid-west. She moved in with some roomates and began looking for shooting and editing work. Her regular day job is at the Container Store and she continues to be called frequently for film and video editing. I am still finishing my prints from Vietnam. I was in Ho Chi Ming City earlier this year. I will work in New York in the summer and in October I will be making pictures in West Bengal. Rhonda Prince: I know you traveled a great deal…how do you pick your projects or do they pick you? Rosalind Solomon: That varies. 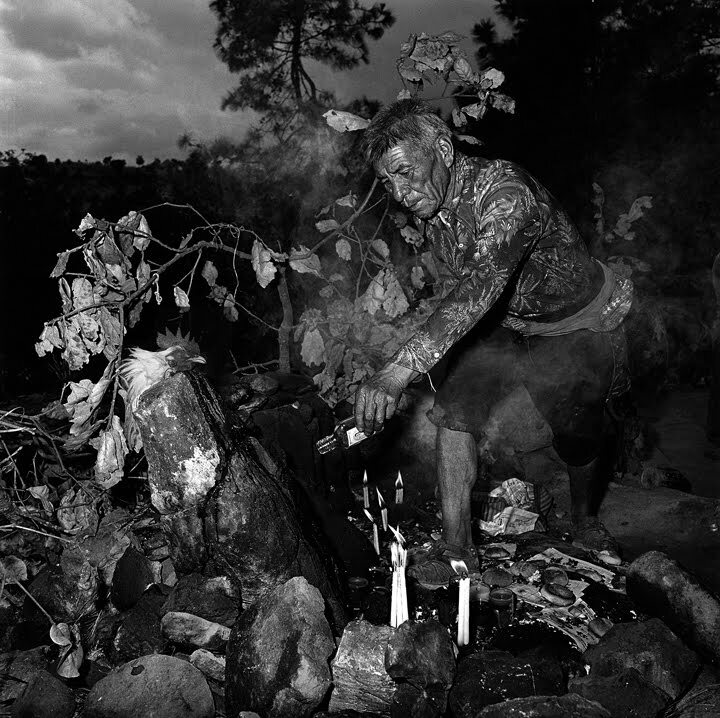 In Guatemala, first I went to see what was there, but eventually I concentrated on photographing shamans. When I photographed shamans I was especially interested in the different ways in which people face their struggles. 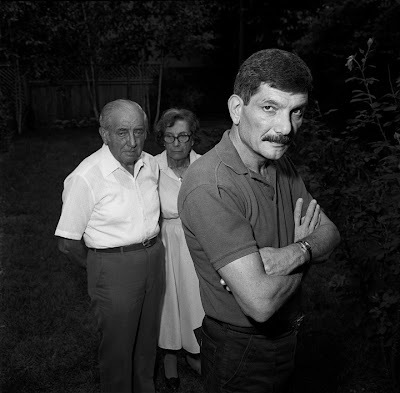 Rhonda Prince: I know one of your other projects was photographing people with AIDS, HIV and Hansen's disease. I was wondering if you could talk more about that project. How do you connect with your subjects and how do you make them feel at ease? What are your thoughts as you photograph them? Rosalind Solomon: In 1988 I worked with people who had AIDS or HIV. At that time they were being ostracized and my goal was to know and reveal the individuality of each person I photographed. 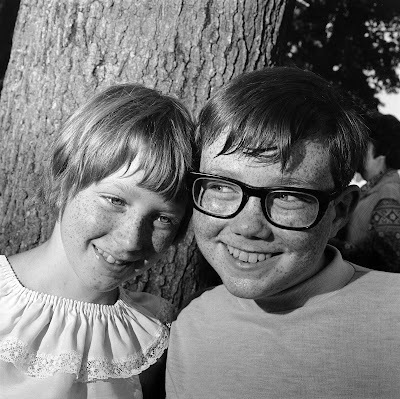 The project resulted in Portraits in the Time of AIDS. I connected deeply to the young men I photographed because I was concerned about my son who had a congenital kidney disease. A few years ago, he received a kidney transplant and he is fine. Fortunately, today many people with HIV are able to live full lives. I don't try to make my subjects feel at ease. I like tension in my pictures. You ask about my thoughts when I was photographing people with AIDS. They were being treated like "lepers." There was fear of easy contamination. There was talk of isolating them on faraway islands. Through my pictures, I wanted to make clear that people with AIDS were your next door neighbors in distress. I was consumed with my son's illness and wanted to see and understand how other young people coped with disease. I met individuals with HIV at weekly church dinners, which I had been invited to attend. Let's say I met a man who agreed to be photographed. I made an appointment for a home visit. When we sat down, first I told him something about myself and what motivated me to photograph people with HIV and AIDS. Then we discussed family, friends and work. Before taking pictures, if he was willing, I turned on my tape recorder and asked him to express his feelings about what it meant to be HIV Positive or to have AIDS. A few of the men I photographed became my good friends. In 1987, there was limited medication available to treat HIV and almost everyone with the virus developed full-blown AIDS. One by one, they died. I had nightmares. I couldn't see friends because I couldn't think or talk about anything else. Rhonda Prince: Also, do you have advice for photographers or other artists who are just getting started? Or trying to get started? Rosalind Solomon: Go fearlessly toward what attracts you. If you find yourself constricted by your life, you have to find ways to loosen up your mind. Keep trying to discover who you are and what you need to express. If money is your major motivation, forget about art, be commercial. Everyone has to have money, but that cannot be your prime motivation. Try part-time day jobs and hold on to your integrity. A unique and excellent photographer and a great interview. Very interesting and inspiring. Many thanks for sharing your views Rosalind - and thanks Rhonda for making this! This is a great photographer. Hasselblad Foundation, where are you?! a wonderful photographer and a great, informative interview. thank you!! I really enjoyed reading this and seeing the pictures here and on her site, she is a great talent. Thanks for the fascinating interview Rhonda.